Thanks to its exceptional chemical composition zelenoustata mussel is an important component in our combination of ingredients for a balanced response to inflammation and relieve pain in joints and muscles. Natural formula to improve mobility and morning stiffness. Effectiveness in conditions associated with degenerative, inflammatory and autoimmune processes in premature wear of the joints, the accompanying symptoms, and the like. Contains extract of green-lipped mussel, boswellia, white willow, capsaicin (cayenne pepper), macadamia oil and essential oils of rosemary, juniper, eucalyptus, camphor, peppermint, pine, lavender, cypress. 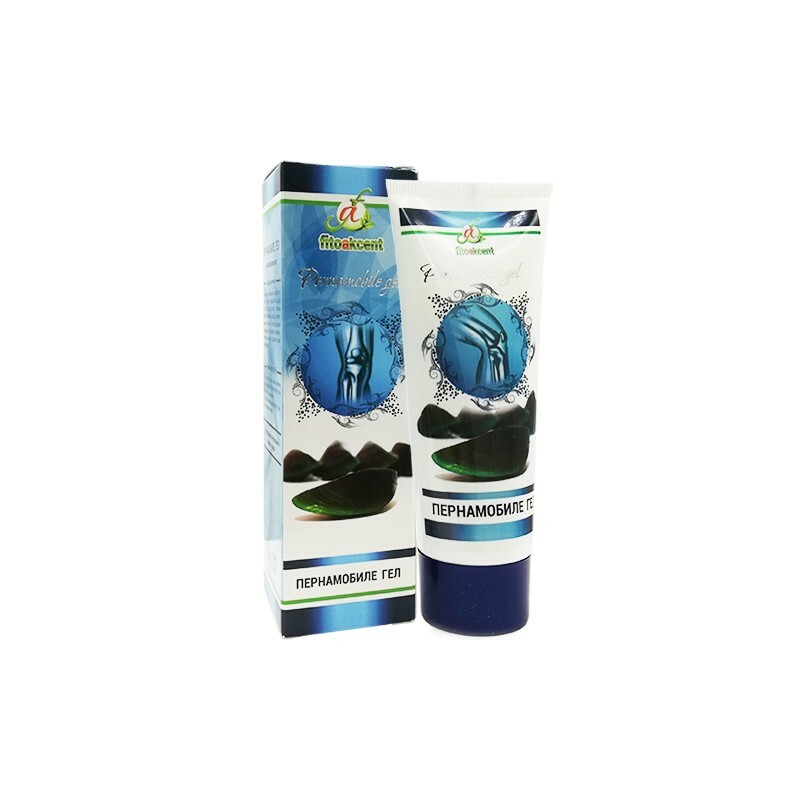 * Suitable for rheumatoid arthritis, arthritis, arthritis, rheumatism, osteochondrosis, osteoarthritis, plexopathy, neuralgia, osteoporosis, myositis, fibromyalgia, disc disease, lumbago, sciatica, tendinitis, back pain and more. Aqua, Macadamia temiflora seed oil, Glycerin Polyacrylamide, C 13-14 Isoparafin, New Zeeland green shell mussels extract, Boswellia serrata extract, Salix alba bark extract, Phenoxyethanol, Ethylhexylpropandiol, Camphor, Eucaliptus globulus oil, Rosmarinus officinalis oil, Juniperus communis oil, Cupressus sempervirens leaf extract, Capsicum frutescens fruit extract, Lavanduula angustiofolia oil, BHT. Morning and evening, and massage gently Apply enough amount of gel on the body and limbs. It has good penetrating power with a pleasant slightly warming effect.